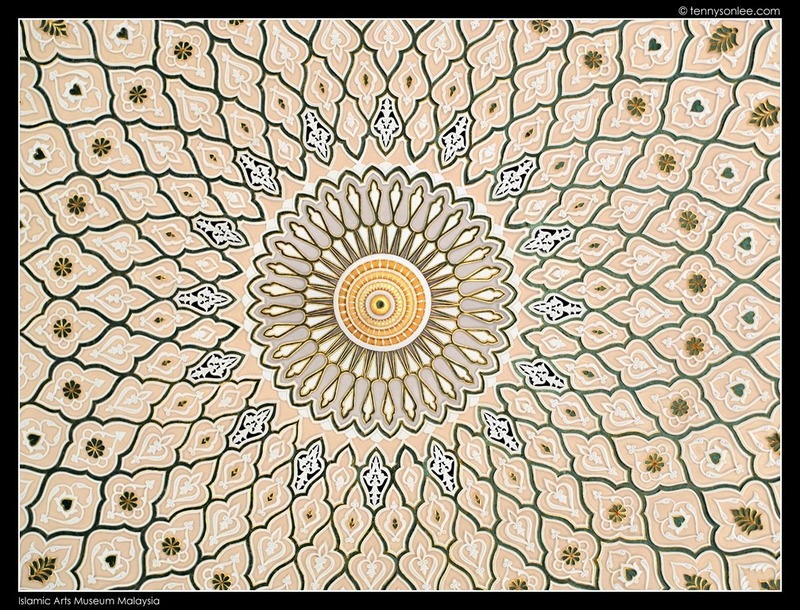 I am not an academic scholars but I could notice lots of symmetry used in the Islamic geometric art. 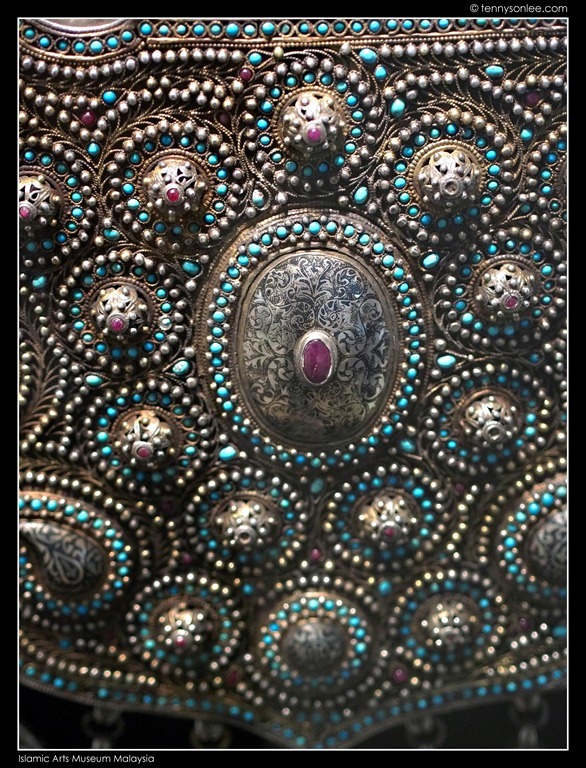 In the month of Ramadan, I thought it would be good to visit the Islamic Arts Museum Malaysia (IAMM). The building above is the office block. The museum gallery is the lower block of building below the hill. 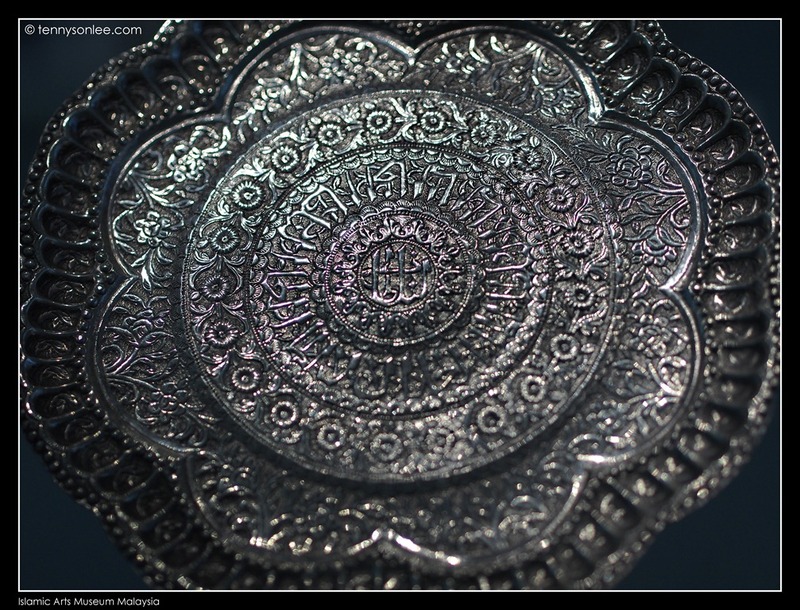 Arabesque is a form a Islamic art that adopts repeating geometric patterns. Such beautiful art works often can be seen on the architectural elements like wall, floor, ceiling, windows. There is no better place to admire the beauties than the air-conditioned and modern Islamic Arts Museum. 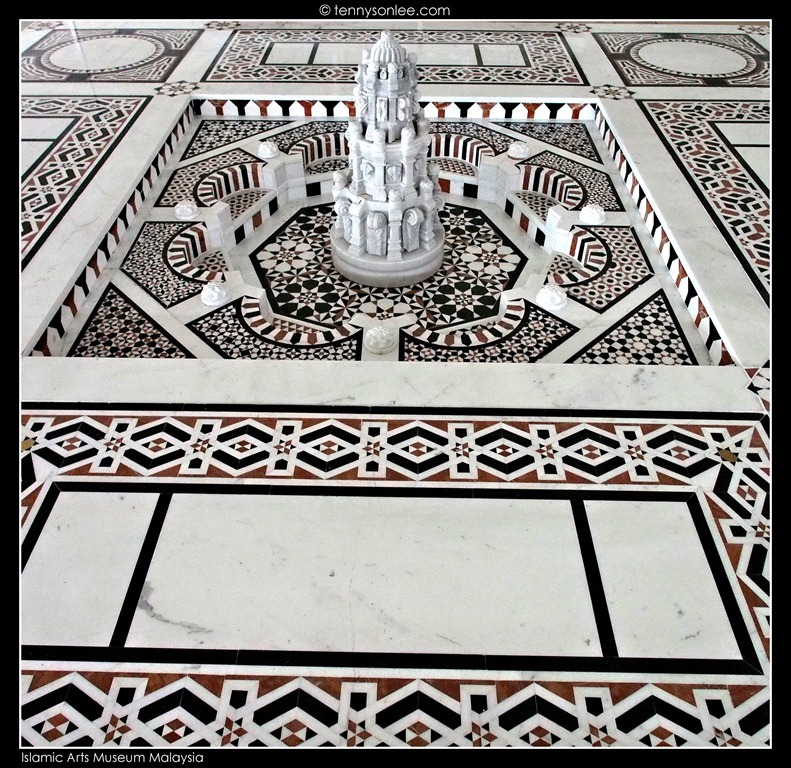 Visitor can find this symmetric marble show piece on the first floor. 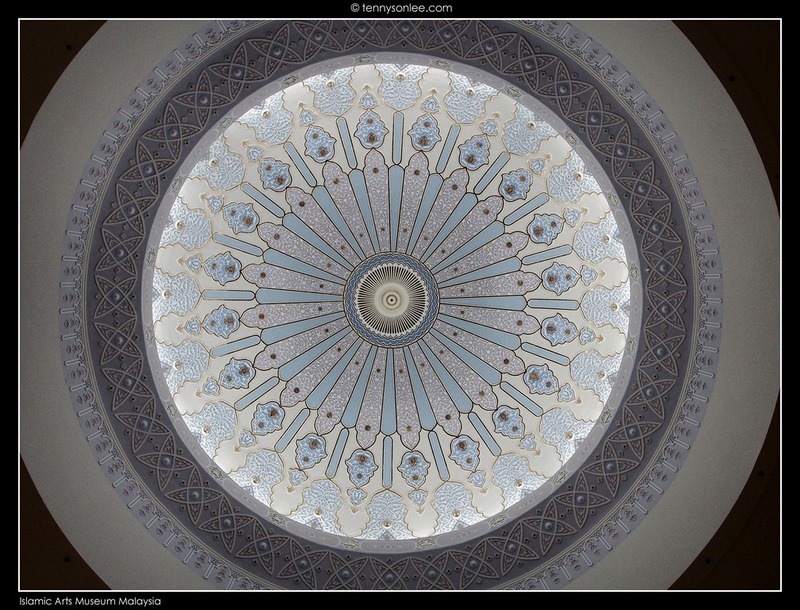 Looking up at the various dome ceiling, there are enchanting pattern. 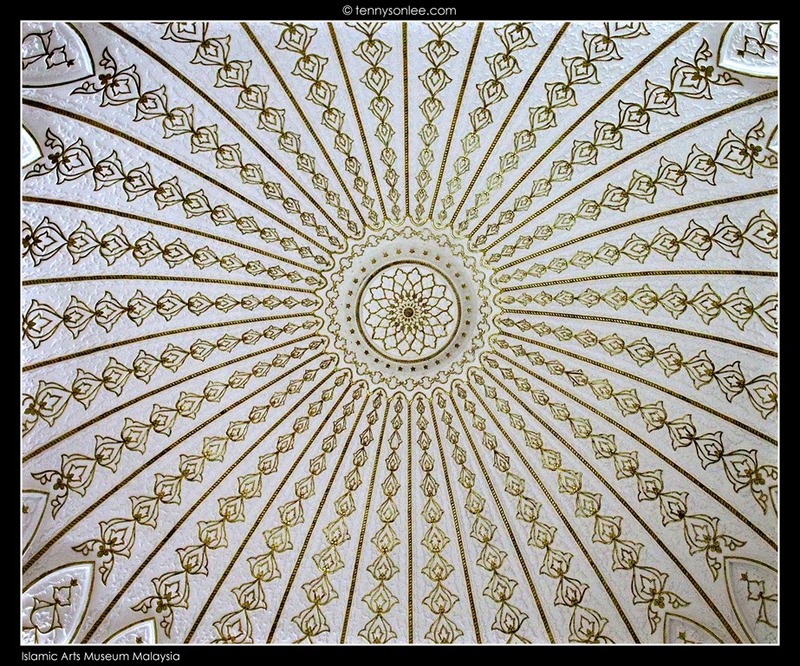 Such dome shape art works pattern often can be found at dome shape mosques. 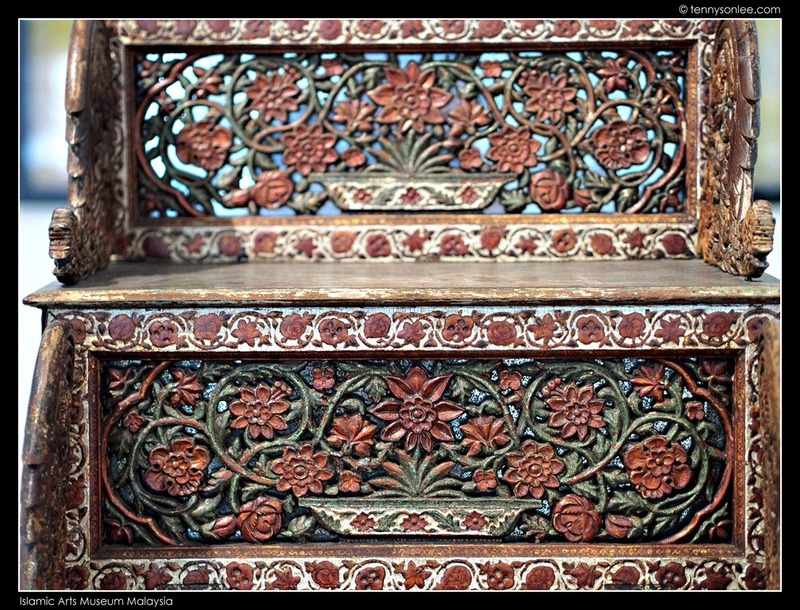 Geometric symmetry can be seen as on many ancient artefacts and modern Islamic arts. I have to say that the artefacts in IAMM is more impressive than Museum Negara, because the theme is more focusing on arts. 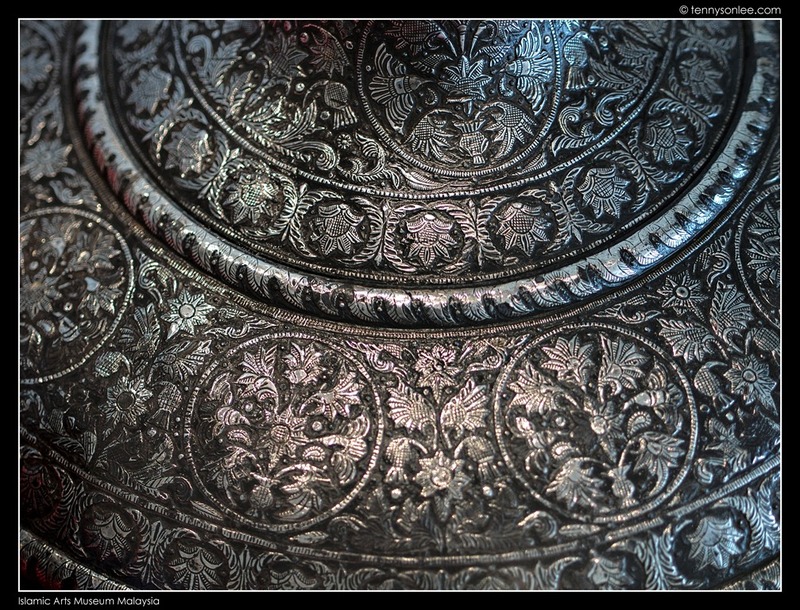 This entry was posted on August 11, 2012 by Tennyson. 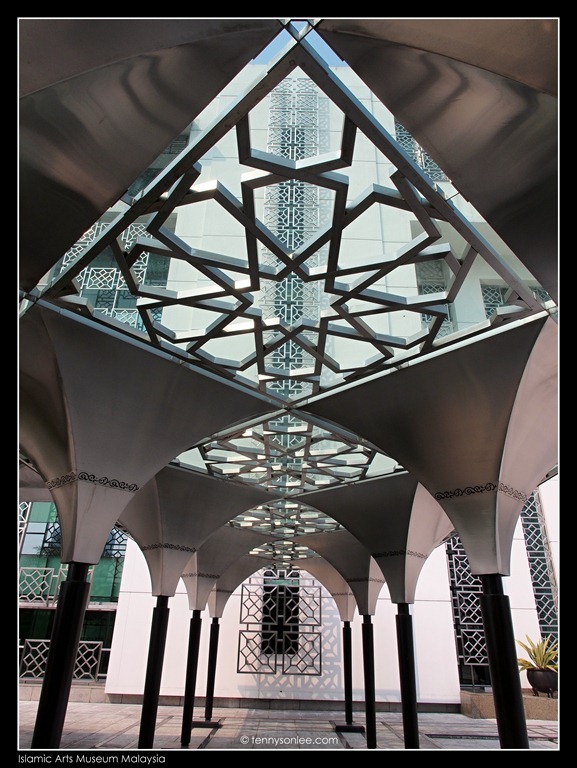 It was filed under Architecture, Arts and Crafts, Kuala Lumpur, Malaysia, Museum, Places and was tagged with Geometry Art, IAMM, Islamic Arts Museum Malaysia.